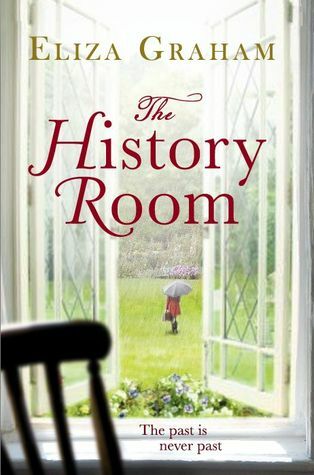 The History Room holds many stories, and they are all held together by one woman. Her name was Meredith and I liked her from the start. I felt that we could have been friends. Hugh, Meredith’s husband, was a soldier and he had been caught up in an explosion in Afghanistan. He was lucky to be alive, but his injuries were life-changing. Struggling to accept that, to come to terms with a very different life, he pushed his wife away. Meredith retreated to her family home: a private school in the Cotswolds that her parents had founded. It would be a sanctuary for her, she could cover for an absent teacher, and she could be there with her father after her mother’s recent death. Clara, Meredith’s sister thought that her father was struggling to cope without the support of his wife, and that she and her sister needed to make a plan for his future, and for the future of the school that he had built. And so life was complicates enough before the event in the history room. A very nasty event, and somebody seemed to be trying to pin the blame on Meredith. She had to work out what was going on, and it seemed that the answers lay in the past. In something that had happened in the early days of the schools. Or maybe in something that had happened even earlier. Charles, Meredith’s father, had been born in Czechoslovakia, but he had fled when Russian tanks rolled in after the events of the Prague Spring of 1968. And now, he said, it was time to go back. Yes, there was much going on in The History Room: a family story, a mystery, a school story, an unravelling of long-buried secrets. If you look at the elements separately they don’t quite work: the family story is insubstantial, many of the answers to the mystery were obvious, the school story is only picked up when it is needed, and the picture of the school is incomplete; and the very first chapter gave away a great deal about the secrets that would be uncovered. And yet as a whole this book works very well.Because Eliza Graham has a wonderful understanding of character. Because she writes beautifully. And because she handles her material so well; keeping so many storylines and themes balanced; revealing enough to stop the mystery dominating, but keeping enough back to make the story intriguing. All of that makes that into that rare thing, an utterly believable psychological drama. There was a rather unlikely coincidence and an overdramatic incident near the end, but that was easy to forgive because I was gripped by the characters. I finished the book wanting to know more about so much, but it was probably right that I didn’t – the book worked very well as it was! Thanks for the review. New to me.